Our main priority in 2016 is to focus on improving the way people work every day. During the past months, we have been continuously rolling out new features that help you become more productive. Some of the most noteworthy features include the Fusioo Badge Layout and Kanban View. Many of you have been asking for better scheduling features in Fusioo. Today, we are very happy to announce the all-new Fusioo Calendar. 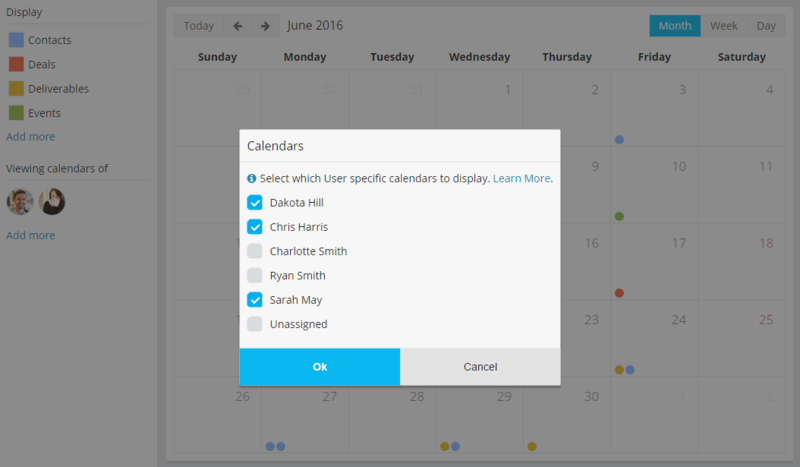 With the new calendar view, you can effortlessly manage your monthly, weekly or daily schedules. Multiple Apps can be displayed at the same time. The calendar will give you a 360 degree overview of what is going on. Apps displayed in the calendar are color coded. This ensures that you will not let anything slip through the cracks. 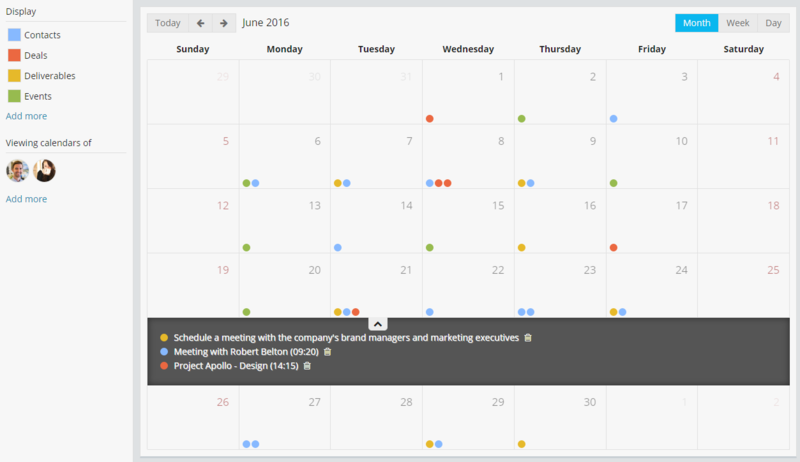 The calendar makes it possible to visualize the meetings you need to attend and tasks you need to close in one centralized view. Want to view someone else's calendar? Just click on Add more under the Viewing calendars of section, select your team members and you are good to go. Plan ahead by having complete visibility into how everyone is performing. 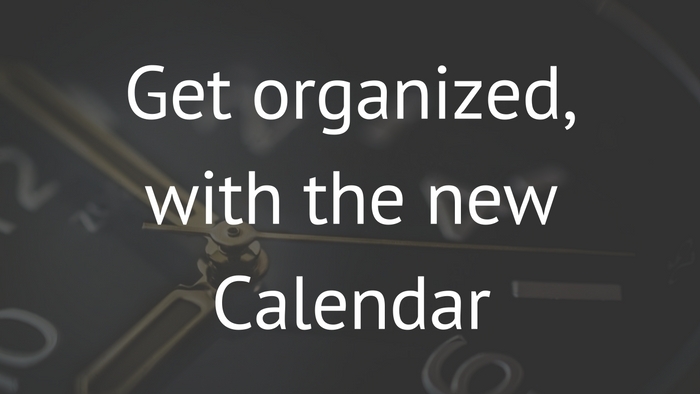 Get started with the new Calendar. As part of the calendar update, we have also made changes to the Date Field. 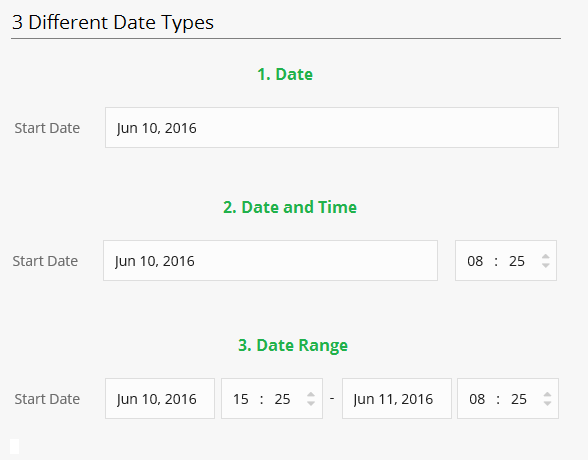 Now apart from setting the date, you can also set the time and optionally, a date range. This is done by configuring the Date type option available in the Date Fields. All three different date types can be used to display records within the calendar. The Date type can be changed at any time by modifying your App. We are now working on making Fusioo work better with the tools you use every day. 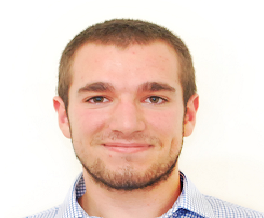 We will be working on adding our first integrations and releasing the first version of our public API. After this update, it will be possible to sync data between Fusioo and your favourite tools. As always, your feedback is welcome. Let us know which integrations or features you wish to see implemented in Fusioo.